AU $99,000	Huge price reduction Need Finance? AU $99,000	Huge price reduction Need Finance? Need Insurance? 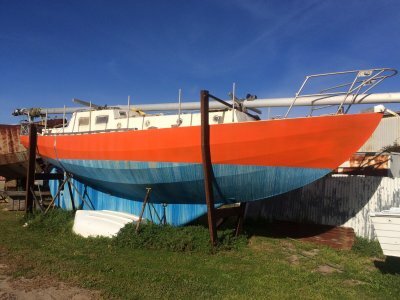 Built in France in 1989 by the well known and highly respected European boat yard of Henri Wauquiez. The solid teak fitout will put all of her peers to shame. 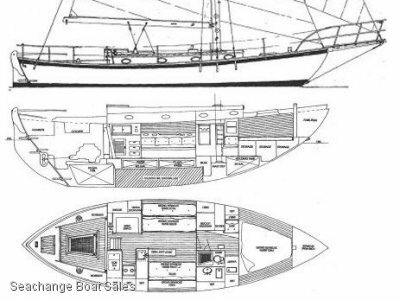 With a larger volume than most 40 footers she has the capabilities to carry stores and sail anywhere in the World. Having sailed out from France she has the runs on the board. The scheel keel drawing just 4'6'' makes her able to cruise where others can't, and the 43hp turbo diesel coupled with the 3 bladed variable pitch Max Prop "VP" feathering propeller gives outstanding performance. Huge port aft cabin with numerous cupboards and full length closet, large V berth with plenty of cupboards and hanging closet, dining table also drops down to convert to a 3rd double berth, single berth to port in saloon giving total of 7 berths, new upholstery 2008 in Macro suede. 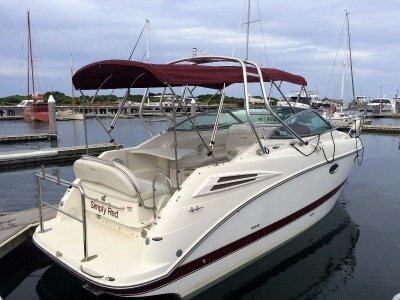 Superb Headlining, the boat is a insulated throughout with padded vinyl, and all hull sides have solid teak panelling. Boat remains dry and mildew/damp free whatever the weather. 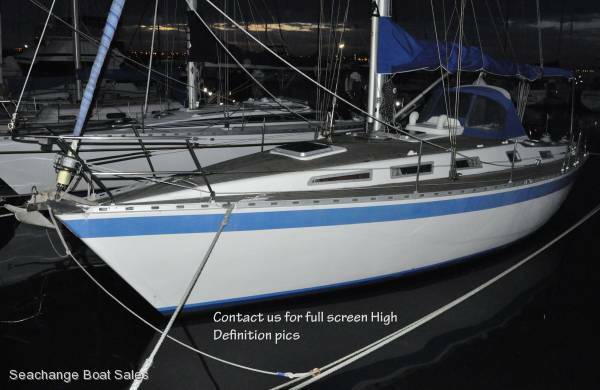 L shaped to starboard with 2 deep s/steel sinks and large eutectic fridge/freezer, 4 burner gas stove with oven, plenty of storage cupboards. Hot and cold water plus foot operated salt water. 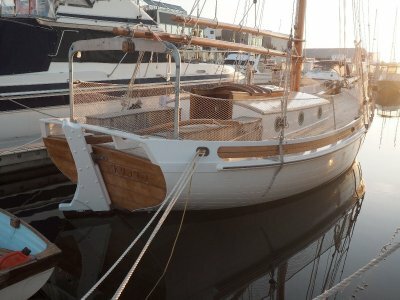 "For those who sail" was the slogan of Henri Wauquiez and this boat lives up to his reputation for building strong, fast and above all seaworthy boats. Most people these days would add a modern electronic navigation package but she could sail the World as is. An inspection is definitely recommended.